Many brothers and sisters are very familiar with the Lord’s Prayer, and we recite it every time we pray: “Our Father which are in heaven, Hallowed be your name. Your kingdom come, Your will be done in earth, as it is in heaven” (Matthew 6:9–10). But even though we often recite the Lord’s Prayer, we rarely contemplate the true meaning of the Lord’s Prayer. Which aspects of the truth does the Lord Jesus tell us about through the Lord’s Prayer, what is the Lord’s will, and what mysteries are contained within the Lord’s Prayer? Let’s discuss these things today. Since believing in God, we have always thought the place the Lord prepared for us was in heaven. We have been waiting to be lifted up when the Lord returns, to eat and drink the fruit and water of life granted by God, and eternally enjoy the Lord’s blessings in His presence. But is what we think in accordance with the Lord’s will? Is the place the Lord has prepared for us truly in heaven? Let’s look at what it says in the Lord’s Prayer. Matthew 6:10 says, “Your kingdom come, Your will be done in earth, as it is in heaven.” The Lord Jesus tells us clearly that the kingdom of God is on earth, not in heaven, and that God’s will shall be done on earth, just as it is done in heaven. Revelation also prophesies in several places that the kingdom of God is on earth, not in heaven. For example, Revelation 11:15 says, “The kingdoms of this world are become the kingdoms of our Lord, and of his Christ; and he shall reign for ever and ever.” Revelation 21:2–3 also says, “And I John saw the holy city, new Jerusalem, coming down from God out of heaven, prepared as a bride adorned for her husband. And I heard a great voice out of heaven saying, Behold, the tabernacle of God is with men, and he will dwell with them, and they shall be his people, and God himself shall be with them, and be their God.” These prophecies say, “The kingdoms of this world are become the kingdoms of our Lord, and of his Christ,” “the holy city, new Jerusalem, coming down from God out of heaven,” and that “The tabernacle of God is with men.” All of these things indicate that the kingdom of God will be realized on the earth, and that the kingdoms of this world will become the kingdoms of Christ. That is to say, when the Lord Jesus returns, He will establish His kingdom on earth. At that time, God will still lead people in living on the earth and worshiping God, all people will live by God’s word, God’s words will become the instructions by which things are done and the foundation of existence, all on earth will worship the one true God in heaven and respect Him as above all and greater than all, and thereby the kingdom of God will be made upon the earth. If we believe the kingdom of God is in heaven according to our notions, and that we will be lifted up to heaven by God, then aren’t these prophecies just empty words? Perhaps some brothers and sisters still do not understand, and will say that the Lord Jesus tells us, “In my Father’s house are many mansions: if it were not so, I would have told you. I go to prepare a place for you. And if I go and prepare a place for you, I will come again, and receive you to myself; that where I am, there you may be also” (John 14:2–3). Since the Lord Jesus ascended to heaven after His resurrection, He is in heaven preparing a place, so how could our final destination be on earth? Brothers and sisters, it is true that the Lord Jesus said He would prepare a place for us, but did the Lord say the place prepared for us would be in heaven? Did the Lord Jesus say He would receive us into heaven? Are these not our own notions and imaginings? First let us see what the Lord Jesus said. The Lord said, “And no man has ascended up to heaven, but he that came down from heaven, even the Son of man which is in heaven” (John 3:13). The Lord Jesus said clearly that no one except Himself has ascended to heaven, and Psalm 115:16 also says, “The heaven, even the heavens, are Jehovah’s: but the earth has he given to the children of men.” We can see that heaven is God’s residence, and the earth is the place God has granted for mankind to live, but we mortal, fleshly humans always want to live in heaven. Is this not one of mankind’s extravagant desires? Actually, we all know that when God created the world He created mankind on earth, and that God’s will has always been done on earth. Genesis 2:7–8 says, “And Jehovah God formed man of the dust of the ground, and breathed into his nostrils the breath of life; and man became a living soul. And Jehovah God planted a garden eastward in Eden; and there he put the man whom he had formed.” From the scriptures, we know that when God created man, it was done on the earth, and that the Garden of Eden was on earth. When God first created Adam and Eve, He did not place wings on them, nor did God bring them up to live in heaven. Instead, He placed Adam and Eve on earth to watch over all of creation. Later, Adam and Eve were tempted by the snake to eat the forbidden fruit, betrayed God, and were cursed by God and expelled from the Garden of Eden. From then on, mankind lived under Satan’s dominion. They were corrupted and harmed by Satan, and they became more and more depraved. They worshiped idols, did many things that resisted God, and did not worship the true God at all. God didn’t wish to see such mankind so filthy and corrupt, so He did the work of flooding the world to destroy it. Only Noah’s family of eight was blessed by God and allowed to survive and reproduce on earth. After that, God began His management plan to save mankind. In the Age of Law, God used Moses to proclaim the laws and His commandments, which guided the lives of the Israelites on earth, so that people knew how to worship God, how to get along with others, what delights and disgusts God, and so on. The Israelites kept the law and lived and worshiped God on the earth for two thousand years. At the end of the Age of Law, human beings became more and more corrupt, failed to keep the laws and commandments, and were in danger of being condemned to death by the law. 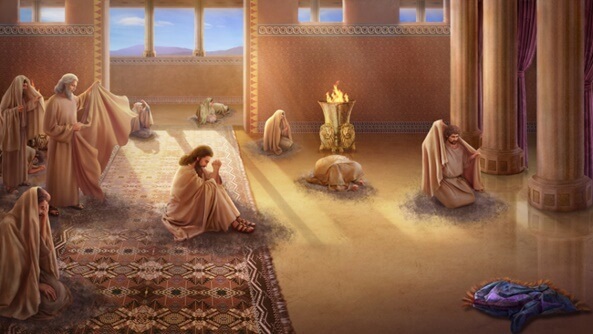 God personally came incarnate to lead mankind on the earth and expressed the teachings of repentance to give people a new direction, and taught people to be tolerant, patient, love their enemies, and so on, so that when people sinned, they only needed to pray to God and repent to have their sins forgiven. 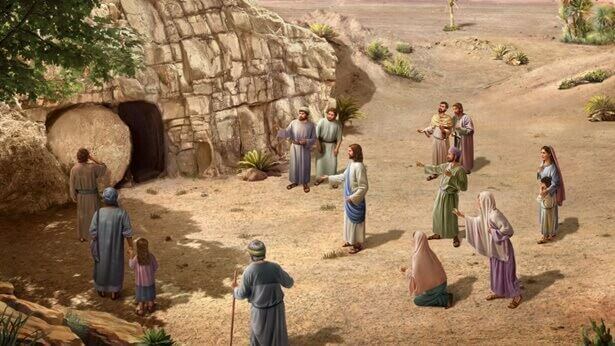 Finally, the Lord Jesus was crucified as a sin offering to redeem mankind from sin, which allowed mankind to continue to live on the earth until the present. The Lord Jesus prophesied that in the last days He would come again, establish His kingdom on earth, and make the world’s kingdom the kingdom of Christ forever. In this, we can see that from the moment God created mankind to the end of the flood, and through the work of the Age of Law, the work of the Age of Grace, and the work to be accomplished by the returned Lord in the last days, all has been done on earth, and that God’s will has always been done on earth. Mankind’s final destination is also on the earth, not in heaven. God’s words say, “God will return to His original position, and each person will return to his or her respective place. These are the destinations that God and man will respectively reside in after the end of God’s entire management. God has God’s destination, and man has man’s destination. While resting, God will continue to guide all of humanity in their lives upon earth. While in God’s light, man will worship the one true God in heaven. 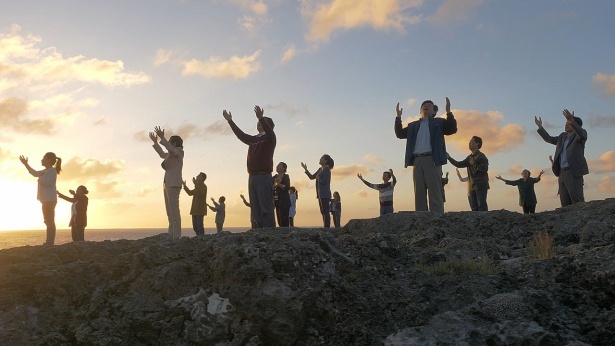 … When humanity enters into rest, it means that man has become a true creation; humanity will worship God from upon the earth and have normal human lives. People will no longer be disobedient to God or resist God; they will return to the original life of Adam and Eve. These are the respective lives and destinations of God and humanity after they enter into rest. … Man’s place of rest is on earth, and God’s place of rest is in heaven. While man worships God in rest, he will live upon earth, and while God leads the remaining portion of humanity in rest, He will lead them from heaven, not from earth. God will still be the Spirit, while man will still be flesh. God and man both have their different respective manners of resting” (“God and Man Will Enter Into Rest Together”). God’s words say very clearly that when God’s work of salvation for mankind is complete, God and mankind will have their respective manners of resting. God will continue to lead mankind’s life on earth and mankind will worship God on earth. This is the perfect destination prepared by God for mankind. At that time, mankind will no longer be rebellious against God or resist God, and will be just like Adam and Eve at the beginning, able to listen to God’s words and obey God’s requirements and orders. 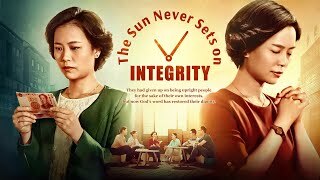 But, at that time, mankind will also have the truth as life, so humanity will no longer be corrupted by Satan, and will live amidst God’s guidance and leadership happily upon the earth. From the fellowship above, we can see that God’s will shall always be carried out on earth, that mankind’s future destination is on earth, that mankind will live eternally upon the earth, and that this was long ago ordained by God. 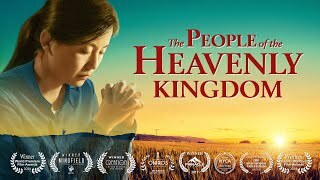 If we look again at the Lord’s Prayer, the words “Your kingdom come, Your will be done in earth, as it is in heaven” even more so verify that God will establish His kingdom on earth, not in heaven, and that God’s will shall be done on earth. The Lord Jesus said: “I have yet many things to say to you, but you cannot bear them now. However, when he, the Spirit of truth, is come, he will guide you into all truth: for he shall not speak of himself; but whatever he shall hear, that shall he speak: and he will show you things to come” (John 16:12–13). It is also prophesied many times in Revelation 2–3: “He that has an ear, let him hear what the Spirit says to the churches.” These prophecies show us that in the last days, the returned Lord shall speak to the churches to tell us the entirety of His truth and mysteries. So, we must be wise virgins, listen carefully for God’s voice, and tread cautiously and diligently investigate when someone testifies that the Lord has returned, because only then will we be able to welcome the Lord’s appearance and gain salvation in the last days, and only then will we have the chance to become the people of God’s kingdom and do God’s will on earth. The Lord Jesus says, “Repent: for the kingdom of heaven is at hand” (Matthew 4:17). Being clear on what true repentance is is extremely important to our ability to enter into the heavenly kingdom. Today, let’s delve into this issue together.